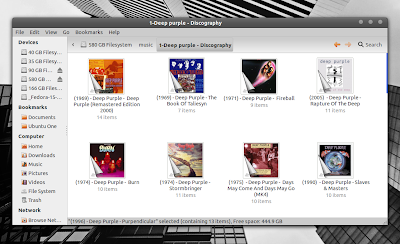 Cover Thumbnailer displays music album's covers and a preview of pictures which are in a folder in Nautilus, the GNOME's file browser. Cover Thumbnailer generates the folder's thumbnail automatically, like any other thumbnailer; you don't have to generate thumbnails manually. Cover Thumbnailer 0.8.3 has been released today and the only change is Nautilus 3.x support (for Ubuntu 11.10, etc.). It comes with a configuration tool that allows you to tweak the way the folders are displayed, enable or disable the previews for the Pictures or Music folders, ignore certain folders and more. 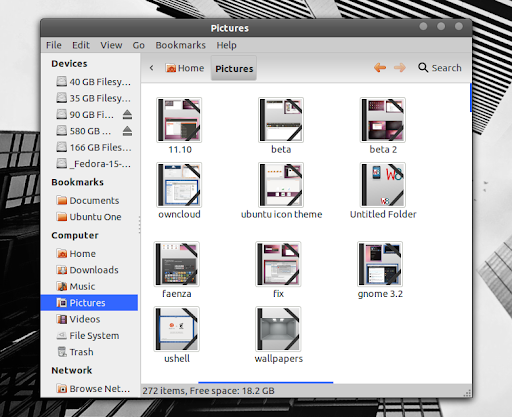 If you're not using Ubuntu, download the Cover Thumbnailer source from HERE. By the way, if you want to automatically download cover art for all your music albums, check out Coverlovin.